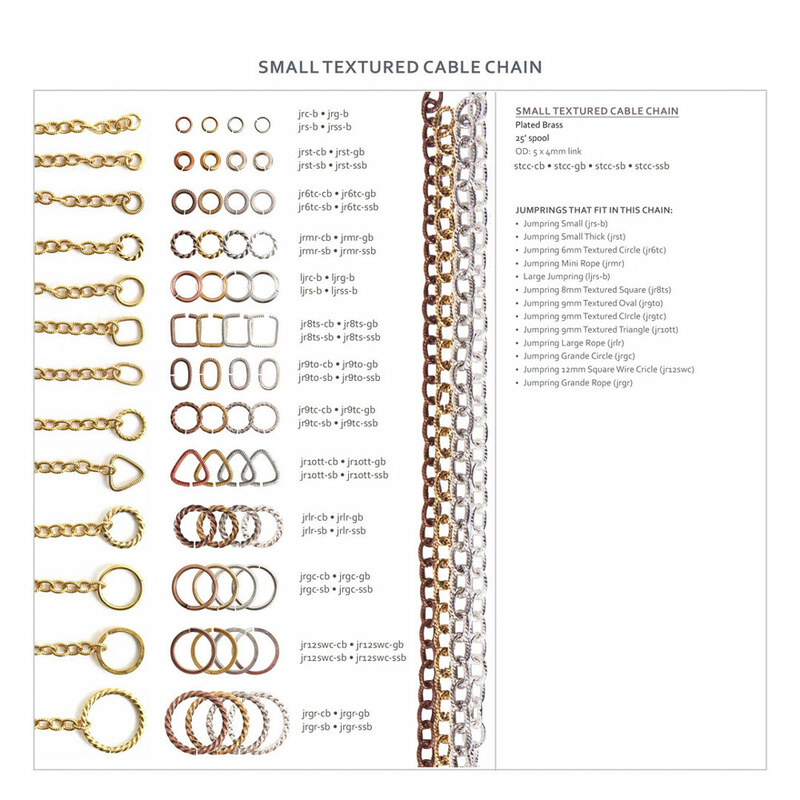 Small Textured Cable Chain is one of the Nunn Design top sellers. 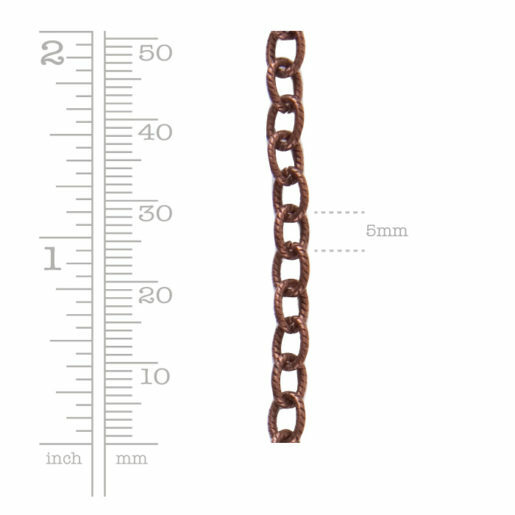 This brass base chain is plated using pure copper, 24k gold, or .999 fine silver. The links are not soldered giving you the freedom to open and close the links. Download our Nunn Design Jump Ring & Chain Cheatsheet or visit our blog post, to see: Which Nunn Design Jump Rings Fit Nunn Design Chain! Chain by the foot may not be shipped as one continuous unit.